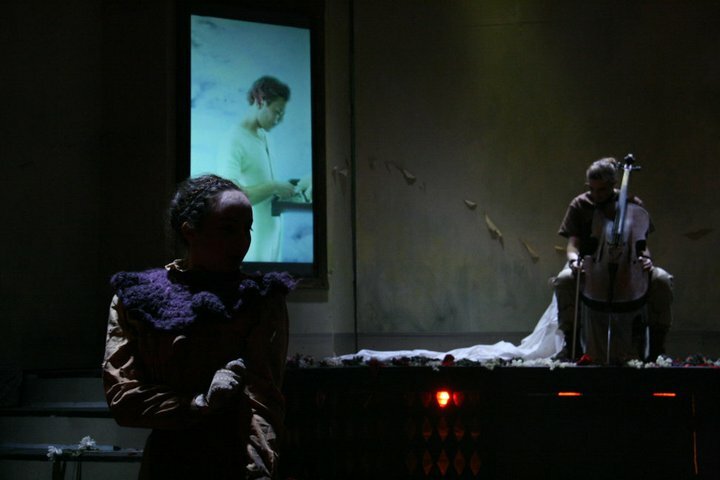 Horror or Her Mirror is an original script written by Jesse Van Buren, and directed by Rosalie Lowe, performed on Reed College's main stage in 2011. As creative makeup designer, I conceived of and executed original hair and makeup concepts reflecting several time periods, as well as constructing elaborate handmade masks for select cast members. The production ran for two weeks as an interplay between the documentation of Lynndie England's abuse of Abu Ghraib prisoners and the classic Henrick Ibsen play, Hedda Gabler.